The cooler rainy days around here have given me a chance to cross off a few projects from my to do list. 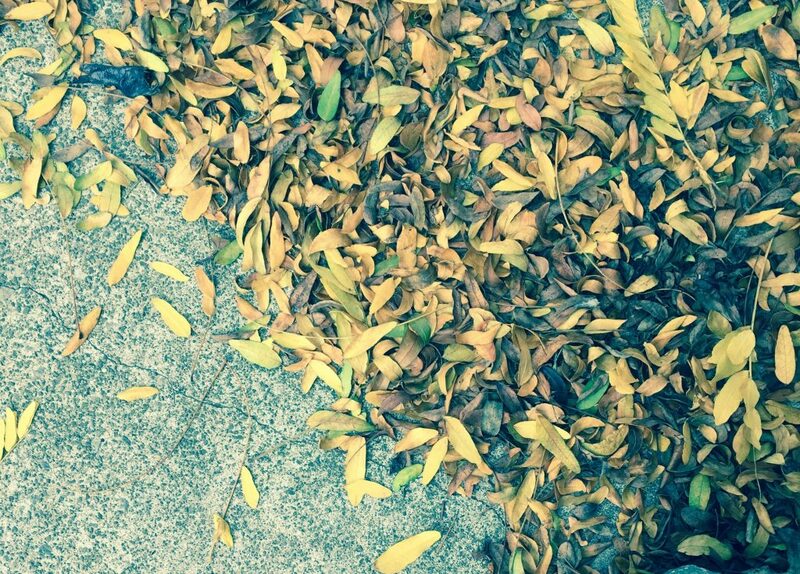 Here’s a peek at some of the things that we’ve done this fall. 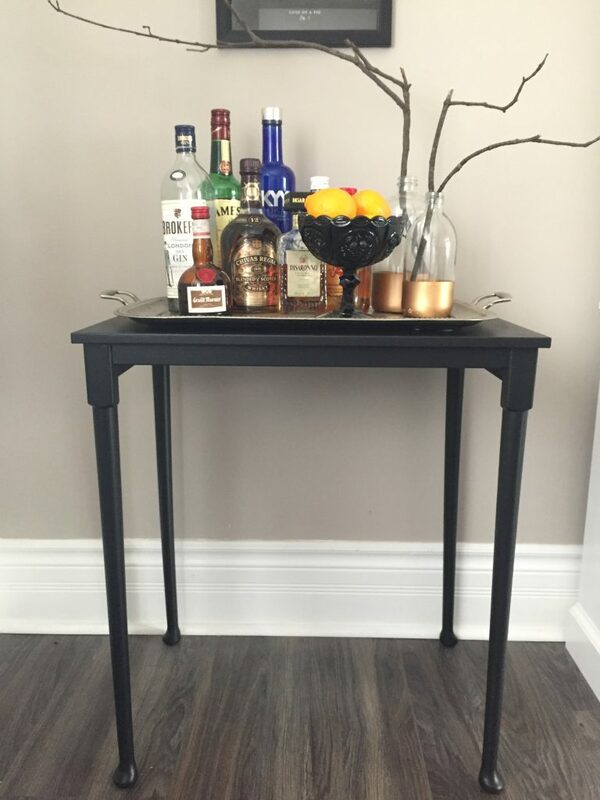 I’ve been wanting a bar cart forever, but we have never had the space for it. When we moved into this house last fall I knew there would be a place for one in our dining room so I’ve been searching, shopping and thrifting for the perfect cart without any luck. While I’m not giving up just yet, I wanted something I could use in the meanwhile to serve drinks from as the entertaining season is fast approaching. 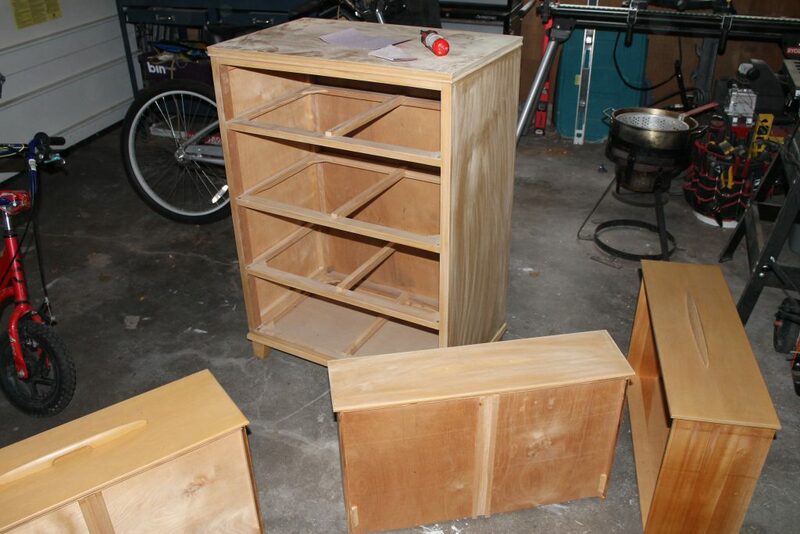 I scoured the house and found our old end tables in the crawl space. 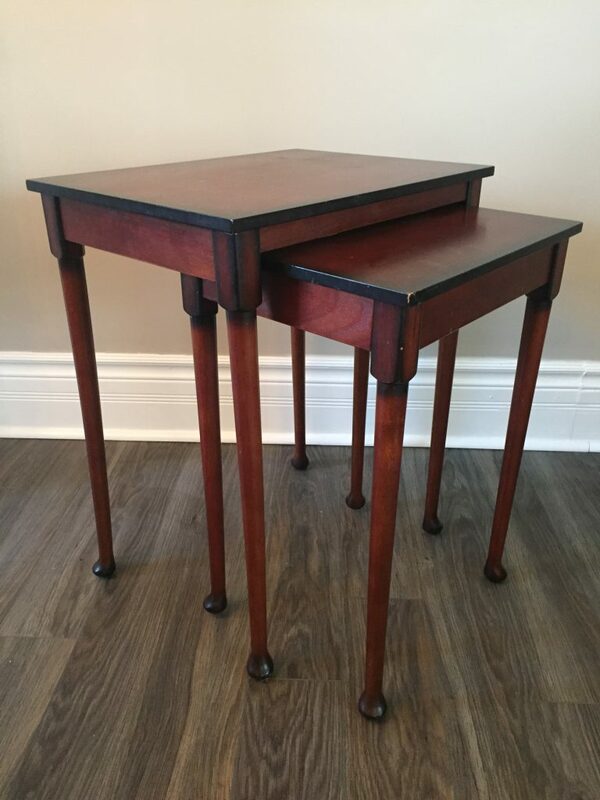 These tables have a great classic shape and are actually nesting tables so I wasn’t going to get rid of them but they didn’t fit with our current decor. I found the silver tray at a thrift store years ago and it has been used in so many different rooms in our house. I have a thing for trays – they’re versatile and can really bring together a vignette on a coffee table, kitchen counter or vanity. This tray here happens to be real silver not plated which means it gets tarnished quickly. You can often find real silver at thrift stores and yard sales inexpensively because they do tarnish so fast and really, who uses silver serving sets anymore? If you do find a tray or other real silver piece you love don’t be afraid to bring it home – the oxidized silver look is beautiful too! 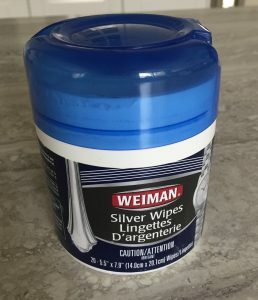 If you’re the type that likes to have polished silver try these this little metal wipes from Weiman. I found them at Canadian Tire and they work so well the tarnish just disappears with a few swipes. I added our drinks, a small bowl of lemons and called it a day. Throw a few glasses on there and we’re ready to host a party! 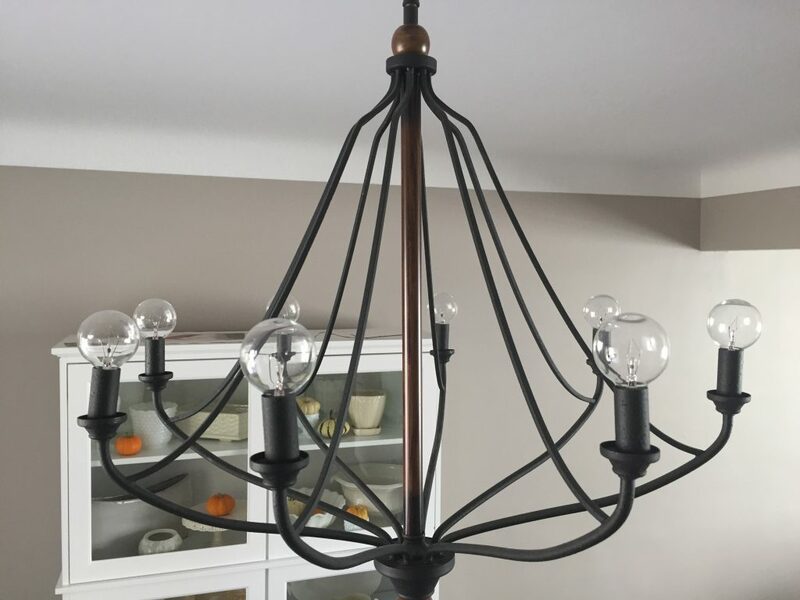 I’ve been wanting to change up the light in our dining room. While there’s technically nothing wrong with it and we did only install it last year, I knew it was only holding the place of my true light love that was yet to be discovered. 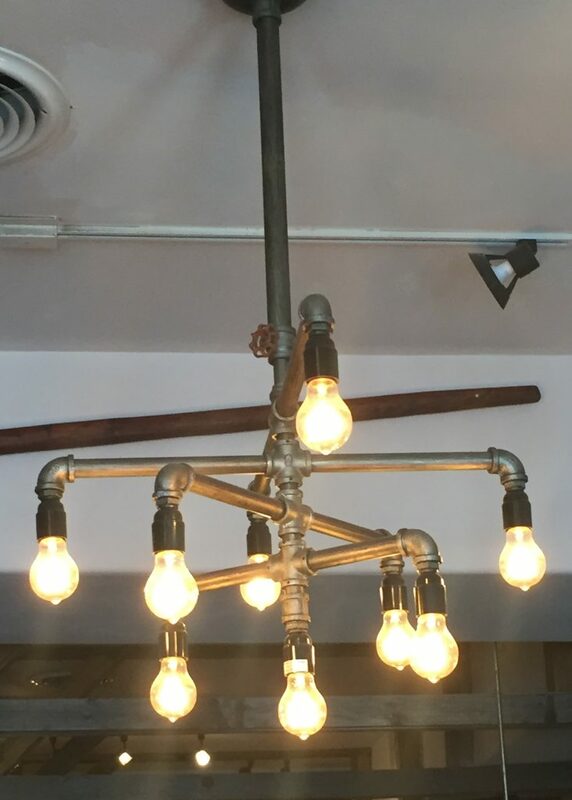 I was inspired by this cool industrial light I spied at a restaurant in downtown Huntsville. 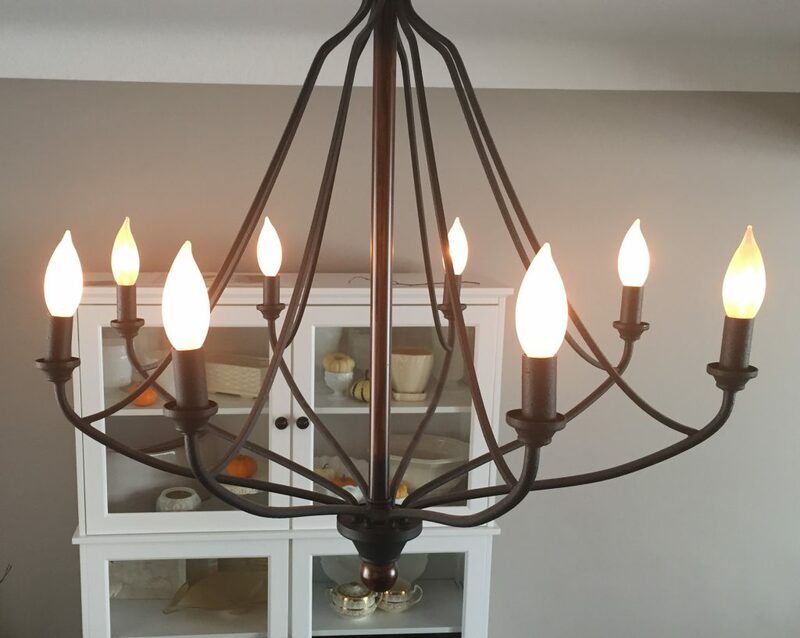 So I swapped out the traditional chandelier bulbs for clear round ones. Not exactly a perfect replica but I’m happy enough with the look. 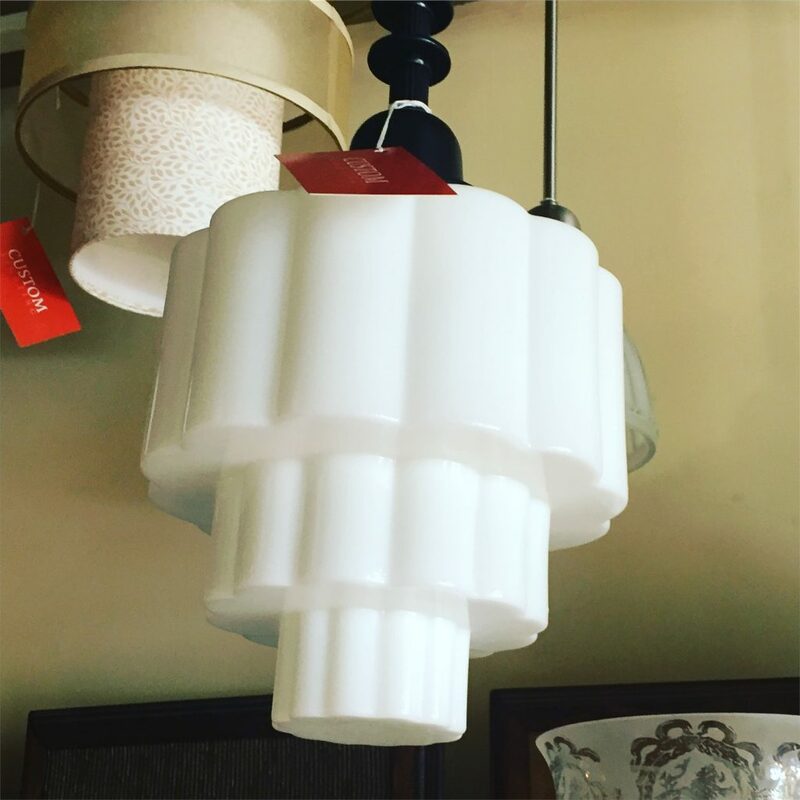 It’s a vintage milk glass light pendant that was rescued from an old hotel in the city. Unfortunately the price was out of our budget (way, way out) so I’ll have to wait. In the mean time the new bulbs refreshed the space just enough to make me (almost) stop pining for this stunner. 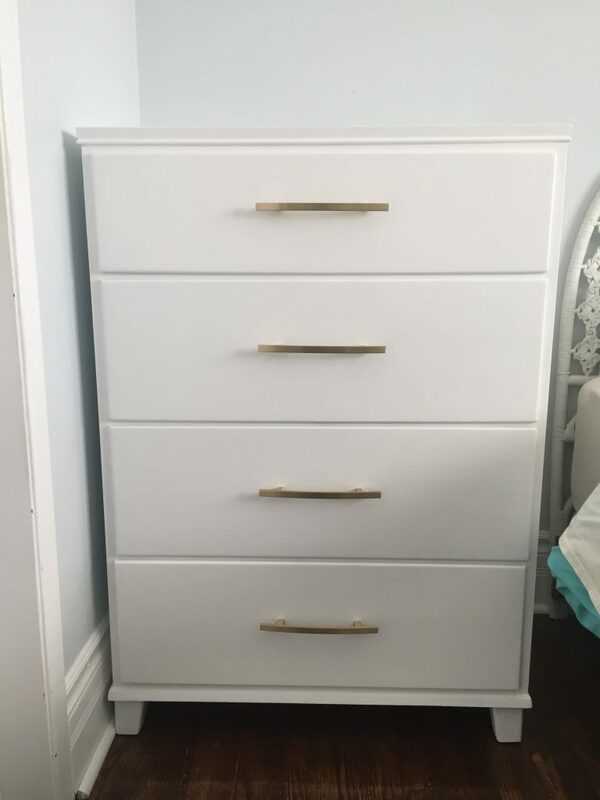 My younger daughter needed a new dresser in her bedroom. The one she was using had been my mom’s when she was a child, I used the same dresser when I young and it came with me when I got married. It was also used by my older daughter. 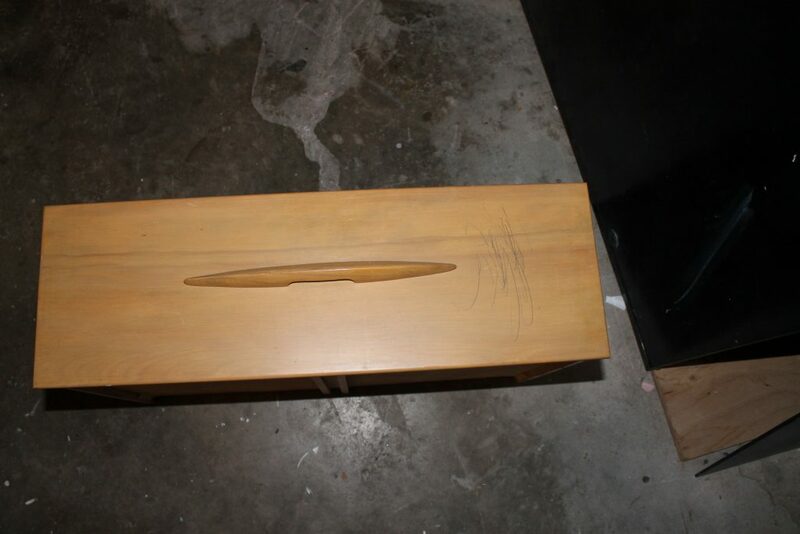 It’s a well made, solid wood piece but it was just taking up too much space in the bedroom. (I’m sure it will resurface in another room in our house one of these days). Our friends had an old dresser sitting in their basement so I scooped it up. It was in great shape but had some scratches and some graffiti by a very young “artist” on the front. I also replaced the wood handles for new gold ones. It’s pretty but sophisticated and will hopefully carry her through until she’s a teen. We’re just getting started on our around-the-house to-do list so there’ll be plenty more project updates to come.